It’s no secret that craft cigars, craft beer, and craft bourbon are the “holy trinity” of premium flavor experiences for the aficionado. As such, the famed Perdomo family and their respected Tabacalera Perdomo factory have set out to best compliment all three of these refined indulgences; whether by aging tobaccos in used bourbon barrels (Perdomo Habano Bourbon Barrel-Aged Maduro) or, in this case, meticulously crafting a trio of cigars to pair with your favorite beer styles! Introducing the Perdomo Special Craft Series, featuring three unique blends that have been specifically crafted to pair with nearly any major beer style. 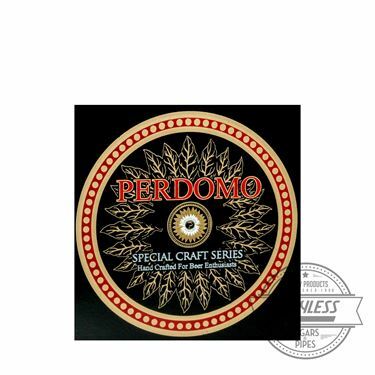 Perdomo Special Craft Series consists of a mild-bodied Connecticut (Perdomo Special Craft Series Pilsner), made to pair with pilsners, white ales. golden lagers, cream ales, etc. ; a medium/full-bodied Habano (Perdomo Special Craft Series Amber), made to pair with pale ales, IPAs, Oktoberfest beers, etc. ; and a Maduro blend (Perdomo Special Craft Series Stout), which is intended to pair perfectly with porters, stouts, brown ales, and other dark beers.